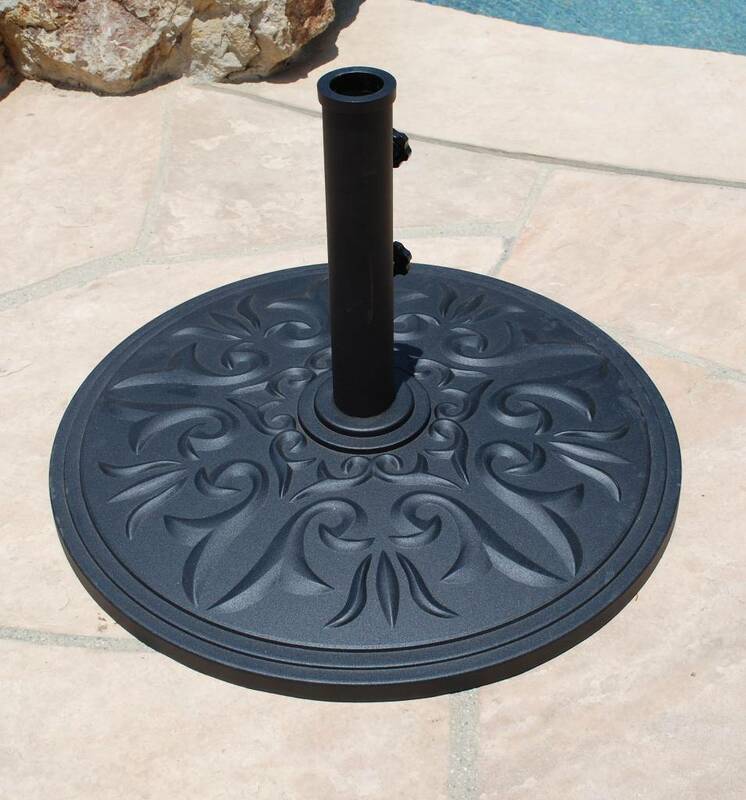 The beautifully designed Premium Cast Aluminum Umbrella Base make a decorative and durable addition to any patio or deck. 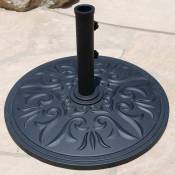 This base is powder coated and finished in three beautiful colors. Powder coating is a process that utilizes powder paint particles that adhere to the metal pieces using electronic charges. The paint is then baked on, creating a durable finish that resists chipping, flaking, and scratching. This versatile base comes with a 13 inch long tube for use with a free standing umbrella and a 6 inch tube for use with an umbrella table.